176 Portland Street, Dartmouth, Nova Scotia, Canada, B2Y 4T6. The fisheries of Atlantic Canada comprise a wide variety of species taken using a wide variety of gears and they remain the dominant fisheries in Canada, both in volume landed and value, despite the major changes in the species composition of the catch that has occurred in the last ten years, not least among two of the three species that are described in this paper (Figure 1). And, not unsurprisingly, this variety in their characteristics is matched in the approaches that have been used in deciding how allocations of quota would be made when the management of these particular fisheries has switched to a rights-based approach. "to ensure a continuing supply of fish and, ... taking into consideration the interests of user groups and on the basis of consultations, to maintain and develop the economic and social benefits from the use of fish to fishermen and others employed in the Canadian seacoast fishing industry, to those whose livelihoods depends in whole or in part on seacoast fishing and to the people of Canada ....". However, from 1987, this objective has no longer been formally pursued. Since the 1970s there have been different policy priorities in Canada's federal Department of Fisheries and Oceans, which have changed about every decade in response to what was believed to be important to sustain fish stocks and the economic well-being of the industry. During the 1970s the priority was to gain control over the fisheries in the Atlantic coastal waters by extending management authority throughout the 200-mile zone. In the 1980s more attention was focused on regulating fishing capacity and conserving stocks. In the 1990s, during some stock collapses and severe cutbacks in government resources, the government attempted to reduce the number of fishing vessels and encourage more responsible fishing practices. It was also a time when a formalized co-management fisheries practices, a new licensing policy and the beginning of cost recovery for some of the Department's services, such as the cost of monitoring the landings of fishing vessels at shore based facilities (referred to as quota monitoring) were implemented. Throughout the past 30 years there were periods of shifts in the fishing economy and frequent conflicts over allocations and access. Discussions on policy objectives of that era were often dominated by disagreements on economic and social aspects of the management regime by the fishing industry. This prompted the need for more involvement and participation by private industry, individuals and communities to encourage an increased role in the planning, management and participation in fishing activities and stock conservation. During the 1970s, various forms of controls were used to regulate the fisheries such as limiting the number of entrants to a fishery and strict vessel replacement rules to limit " over-capacity " in various fisheries. These regulations concentrated on the effects of the property problem but did not address the real cause of overfishing and overcapacity, which were both conservation and economic issues. The first attempt at implementing individual quotas in Canadian fisheries was seriously considered at that time. During the late 1970s and the early 1980s, economists considered individual quotas, quasi-property rights, or quantitative rights, as a means to achieve better economies and returns from the fisheries. The first enterprise allocation programme2 was implemented for a five-year period in the management of the offshore ground-fishery. By the end of the 1980s the individual quota system had been introduced into many of Canada's Atlantic fisheries. The allocation of individual quotas meant that enterprises could eliminate competitive fishing and schedule fishing operations on a more rational basis, especially regulating supply in response to market demands and so achieve best product prices. The fisheries that operated under the enterprise allocation programme were more profitable than if they had continued in a competitive fishery although not all of the industry was happy. With the reduction in fleet capacity came reduced crew numbers to operate the vessels. The crews that remained in the fishery did much better financially because the crew shares were higher resulting from increased efficiency in the fewer remaining vessels and lower overhead costs. Crew that were displaced by the downsizing of the fleet were much less pleased with the programme as they had to find other employment in their respective communities or in other fisheries. In some cases, there was a need to establish fleet separation between the inshore and offshore fleets when granting the various shares of the available catch and there were instances where some believed their share was not adequate. Nonetheless, the enterprise allocation programmes were successful in rationalizing the large fleet sectors, conserving the limited stock levels and contributing towards economic improvement. The northern shrimp (Pandalus borealis) fishery3 takes place off the coast of eastern Canada from latitude 49° 15' N to Baffin Bay in the far north. A new fishing area was added in 2000, bringing the southern limit to 46°N. Although separate stocks of shrimp have not been clearly defined, scientists have observed differences in rates of growth and maturation, which are attributable to different habitat conditions across the geographic range of the species. These differences provide the basis for delineating assessments (Figure 3). The northern shrimp fishery is complex in regard to both international and domestic considerations. The fishery in the Davis Strait exploits a joint Canada-Greenland stock, the sharing and management of which is the subject of annual bilateral meetings between the two countries. The fishery on the Flemish Cap and neighbouring areas of the Grand Banks, outside Canada's 200-mile limit, is also the subject of international negotiations with other members of the Northwest Atlantic Fisheries Organization. For domestic considerations, sharing of the shrimp resource with adjacent, inshore fishermen, especially those affected by the downturn in ground-fish stocks, has become a major issue in recent years. Further, Aboriginal interests adjacent to the resource are seeking greater access; they currently hold five of the seventeen commercial offshore licences. One land claim (Nunavut) has been settled, while other adjacent Aboriginal groups are currently negotiating resolution of their land claims, which include fisheries components. The northern shrimp fishery began in Eastern Canada in the late 1970's after the federal Department of Fisheries and Oceans conducted exploratory cruises that verified the presence of shrimp stocks in the waters off Newfoundland and Labrador. In 1977, the Department of Fisheries and Oceans, in conjunction with Fishery Products Limited, conducted a study to determine the commercial feasibility of harvesting these stocks. Four vessels, two Canadian and two Norwegian, carried out a test fishery over approximately five months, achieving an average catch rate of eight tonnes per day, which demonstrated the potential for a commercial fishery. This successful experiment was followed by a flood of applications to the Department of Fisheries and Oceans for shrimp harvesting licences. Approximately forty applications were received from interested parties throughout Eastern Canada. The Department of Fisheries and Oceans first issued eleven licences in 1978, followed by one more licence in 1979 and four additional licences in 1987. The last of the current seventeen offshore licences was issued in 1991. Twelve companies hold the seventeen licences. The early years of the fishery were characterized by weak markets and an adjustment period for participants, some of whom experienced financial and development difficulties. This led to several licences changing hands and others being fished under joint ventures with dedicated operating companies. Also, several of the licences were not fished for a number of years during the early and mid 1980s. The last of the current 17 offshore licences were issued in 1991. The average crew in the offshore fleet varies between 17 and 28, depending on the size of vessel, for a total of approximately 600 crew in the entire fleet. Currently, there are seventeen offshore northern shrimp licences held by twelve corporate entities: four companies hold two licences each, eight others hold a single licence and two of these are joint owners of a company holding one licence. The holders of the licences would be categorized in a number of ways but, from an operational perspective they can be divided into two groups: (a) those who operate their own licence; and (b) those who have an operating company do their harvesting and carry the risk for them. Another factor that distinguished the licence holders is whether they fished with a foreign or domestic flag vessel. Ice-strengthened, factory-type vessels required for the shrimp fishery did not exist in Canada. A number of foreign vessels were purchased and reflagged, and others were chartered on a long-term basis. In 1990, the Minister of Fisheries and Oceans required that all vessels in the shrimp fishery operate under a Canadian flag. Vessel specifications have provided a means to distinguish the operators and since 1986 there has been a high rate of investment in shrimp vessels, principally in reaction to the fundamental changes in product prices, landings and fishing effort. Some variation exists in the fleet in terms of vessel age, size, ability to fish in ice conditions and capability to process shrimp on board the vessel. Prior to 1987, many operators believed that it was uneconomic to fish shrimp without also having an allocation of groundfish. Because of the closure of the fishery for northern cod, this aspect of the fishery is not included and the introduction of specialized fishing gear (the Nordmore Grate) has all but eliminated the bycatch of groundfish. The northern shrimp fishery makes an important contribution to northern development through employment and training as the incomes from fishing, processing and service industries make substantial contributions to 30 - 40 northern communities. The offshore fleet averages crew complements of 17 to 28, depending on the size of vessel. There is approximately 600 crew in the entire fleet. The vessels operate out of ports in Newfoundland and Nova Scotia, with occasional landings in Greenland when fishing in the far northern region. Fishing trips generally last until the hold is full, a period ranging from 25 to 75 days, depending on catch rates and hold capacity. Large vessels make six to eight fishing trips per year, averaging 270 - 320 days at sea annually. This makes the offshore northern shrimp fishery a year-round fishery, which is essential to provide a continuous supply of shrimp to the fiercely competitive international market and to maintain a financially viable operation. The total landings of northern shrimp for the years 1977 to 2000 are given in Table 1. 1 Beginning in 1991, data for the competitive fishery in exploratory areas have been eliminated. Source: Canada Department of Fisheries and Oceans, Economic Analysis Division, St. Johns, Newfoundland, and Canadian Atlantic Quota Reports, 1990 - 2000. Following the exploratory fishing, the commercial fishery for northern shrimp began and the early results were encouraging. The 1986 fishery showed the beginning in future trends in landings with higher prices for product and a depreciated Canadian dollar attracted additional effort. However, the weak markets during the mid-1980s caused landings to decline. Annual catches had increased to 9000t in 1981 but then declined to only 3000t in 1984. By 1986, landings were double those of 1985 and market conditions had improved and the industry responded with substantially increased fishing effort and catches; in 1987 the landings doubled again. The percentage of the commercial quota harvested was only 26% in 1984 but reached 95% in 1987. Landings per licence were 1172t in 1987, 1618t in 1988 and 1685t in 1989. On April 23, 1997, the then federal Minister of Fisheries and Oceans announced that the total allowable catch (TAC) of northern shrimp would be increased to 59 050t from 37 600t the previous year. Based on the average price per tonne for northern shrimp, the fishery would generate about $Can75 million of additional revenue, bringing the total value to $Can215 million that year. The 1997 catch of approximately 48 000t was the highest recorded. Appendix I provides an outline of the sharing plan in 1997. This increased TAC was limited to the SFAs 2,5, and 6 and the increased allocations were shared between the existing fleet and a temporary fleet composed of inshore (<65') vessels. Temporary access will continue until there is a decrease below the 1996 threshold levels. For the offshore shrimp fishery to attract dedicated shrimp fishing vessels, there had to be some assurance that the fishery could support such a vessel. Strong shrimp product markets in 1987 and 1988, supported by attractive exchange rates and a surging growth in landings, encouraged the introduction of vessels that were solely equipped for fishing shrimp. The then competitive nature of the exploratory fishery also contributed to the trend toward dedicated vessels. The competitive fishery provided companies with an incentive to acquire a vessel that could land a larger share in the competitive fishery. Generally, those with the best vessels got the biggest share. The level of capital investment in new vessels was at least 13 million dollars with many in the range of 16 million to 18 million dollars. These were powerful and sophisticated vessels that used the latest in communications, navigation, harvesting and processing technology. The technological change in vessel construction and equipment facilitated the move toward a fleet of dedicated shrimp fishing vessels designed to fish in harsh conditions and spread fishing time over a longer period and a larger volume of landings which helped defray the initial capital cost and the annual operating costs. These developments contributed to an improvement in fleet efficiency and further reduced the risk of catch failures, which allowed the fishery to be conducted as an independent fishery. However, the participants in the fishery expected assurances of access to the fishery and some degree of stabilization over time in allocations to the resource. There was also concern by some companies that they would be disadvantaged in a competitive fishery because of others holding more than one shrimp licence and the role of foreign flag vessels which required less investment by those licence holders using them. In 1987, a two-year experimental enterprise-allocation programme was introduced and provided an equal allocation to licence holders of the allowable catch in each of the SFAs set out in the North Atlantic under Canadian jurisdiction. The allocations were transferable on a temporary basis during the current fishing season. Each licence holder had an opportunity to participate in a competitive exploratory fishery in new areas. In 1989, the programme was instituted on a permanent basis and a compulsory observer programme with 100% coverage was implemented at the expense of the licence holders. Under the permanent enterprise allocation programme, inter-enterprise transfers were permitted on a temporary basis and were freely transferable between and within enterprises provided that the transfer applied to the current season. The allocations were made to individual licence holders in the form of a quota expressed in tonnes and based on the TAC established for the respective northern SFAs, divided equally among the seventeen licences. The licence holders were given equal access to all northern shrimp stocks and fishing areas and their allocations were determined by dividing the TAC set for each SFA equally by the 17 offshore licences in the fishery. Canadian federal fishing licences are generally issued for one fishing season at a time. The Minister of Fisheries and Oceans has the legislative authority to allocate fish in any way he or she sees fit each year. However, in practice, to ensure stability in the various fisheries-related sectors, allocations to fleets each season are largely based on past practice. The offshore northern shrimp licensees were given assurances with the introduction of the enterprise allocation programme that future allocation decisions would not jeopardize their viability and they would retain their allocations. optimum exploitation of all northern shrimp stocks, with due regards to effective resource conservation and the orderly long-term development of the entire northern shrimp fishery. Fair access to, and equitable sharing of, the northern shrimp resource by all legitimate Canadian user groups, with particular emphasis on the needs of the people and communities most adjacent to the resource. Canadianization of all aspects of the northern shrimp fishery - harvesting, processing and marketing - so that the maximum benefits from this fishery accrue to Canadian user groups. Development of a modern, commercially viable, and self-sustaining, northern shrimp fishery. By 1987, enterprise allocation programmes were already in place in Canadian offshore groundfish, offshore lobster and offshore scallop fisheries, and provided good examples to follow. With the consensus of the northern shrimp stakeholders at the time, and economic analyses indicating that stable access to the resource would enhance the offshore northern shrimp fleet's overall viability, the models offered by these other fisheries were followed for northern shrimp. Enterprise allocations support, in various ways, all of the above policy objectives. The Northern Shrimp Advisory Committee (NSAC) has served, and continues to serve, as the consultative forum for the discussion, advice and input on allocations and issues on the management and development of the northern shrimp fishery. The NSAC members are representatives of the federal Department of Fisheries and Oceans, licence holders, provincial and territorial governments, and processing interests. The NSAC provides advice to the Minister of Fisheries and Oceans. NSAC members first discussed an enterprise allocation system in 1986 and all agreed with its implementation in 1987. The economic study carried out by the Department of Fisheries and Oceans in 1987 indicated that the fleet as it was then configured was generally not achieving an economic profit (Collins 1987). The study based its findings on average landings of 600t per vessel. The final decision for the 1987 management plan was to establish a two-year experimental enterprise allocation programme with initial enterprise allocations of 1000t per licence, given that the projected global TAC would be about 16 000t per year over the two-year trial period. The number of licences at that time was sixteen. There was also provision made for reallocation of unused quota three-quarters of the way through the fishing season. In 1987, the average landings were 1172t per licence, including competitive exploratory fishing, although many licences were relatively inactive. In 1988 and 1989, average landings were 1618t and 1685t per licence, respectively. The individual allocations in 1989 were increased from 1000t per licence to 1200t per licence although the average potential quota per licence was approximately 1700t because of the availability of the exploratory fishery in new fishing areas. The economic advice provided in 1990 suggested that 1000t was an inadequate amount of shrimp upon which to support a new, dedicated shrimp-fishing vessel. At the same time, scientific advice supported increased TACs. Rather than add licences to the fishery, enterprise allocations to existing licensees were increased. As a result, the individual quotas were increased to 1700t in 1990. With the increase in TAC in 1997, and the need for a fair allocation, the industry was invited to make proposals for developing an appropriate sharing formula. The proposals were then reviewed at a public meeting to maximize industry input. Recommendations were then presented to the NSAC and submitted to the Minister of Fisheries and Oceans for approval. The conferring of individual quotas to the offshore licence holders was based on equal access to all SFAs, as had generally been the case from the beginning of the fishery. Licensees received equal quota amounts, expressed in absolute tonnage, in each SFA that in total equalled the TAC for the SFA. The TACs are decided by the federal Minister of Fisheries and Oceans, with recommendations from the NSAC, which considers the stock status advice from the federal Department of Fisheries and Oceans scientists. The inter-enterprise transfers of quota were permitted between companies for the current fishing season only. Licence holders had until 15 January of the subsequent year to complete transfers to cover any overruns of their quotas. Penalty clauses were built in the quota over-run situations where an excess of five tonnes would result in a two-for-one reduction in the quota in the fishing area for the following year. The rationale behind the introduction of individual quotas for the temporary inshore fleet relied heavily on the need to maximize employment and economic benefits to the local communities. Five groups received temporary allocations and local Management Boards were established to manage the temporary quotas. As noted earlier, the northern shrimp fishery was a developmental fishery initiated by the federal Department of Fisheries and Oceans through exploratory cruises that verified the presence of shrimp stocks off the coasts of Newfoundland and Labrador. As the knowledge of shrimp availability and location expanded in the early years through exploratory fishing, new licences were added. The general principle followed from the start of the fishery was that each licence would have equal access and opportunity in each SFA. The exploratory content of fishing operations throughout the developmental stages of the fishery, commencing in 1978, meant that the participants benefited by accurate reporting of landings. At-sea monitoring by independent observers of the catch was also important to provide landings verification, as well as to ensure compliance with regulations pertaining to bycatch of groundfish and discards of broken shrimp although coverage by observers was less than 100% until 1989. Landings statistics were collected by the Department of Fisheries and Oceans through the use of daily hails of fishing activities and logbooks compiled and submitted by the licence holders, with these records being verified and retained by the Department. The computational process has remained straightforward. Once the TAC for each SFA was established, each of the licences was allocated a tonnage in that SFA equal to one-seventeenth of the TAC. As of 1997, the equal shares are based on that portion of the TAC apportioned to the offshore fleet. There was no formal appeals process, although complaints could be raised at any time with the Department of Fisheries and Oceans or the Minister of Fisheries and Oceans. The Northern Shrimp Advisory Committee serves as the forum for consultations and discussions of issues on the management and development of the northern shrimp fishery, including the enterprise allocation programme, and provides advice to the Minister. In 1987, the Committee members unanimously agreed with the establishment of equal enterprise allocations. In 1989 the programme was made permanent by the Minister of Fisheries and Oceans, with assurances that the viability of the existing enterprises would not be jeopardized and licence holders would retain their quotas in the shrimp fishing areas. Also, the existing licence holders continued to share equally in increased allocations in areas where there was an increase in the total allowable catch. A more recent economic assessment of the offshore northern shrimp operations, conducted in 1995, concluded that a total enterprise allocation of about 2400t would be required for a new vessel in the fishery to break even. This conclusion led, in part, to the establishment, in 1997, of a quota threshold of 37 600 t for this fishery, above which sharing with new participants would occur. This threshold provided enterprise allocations of over 2200t per existing offshore licence. It is anticipated that any future major change in the economic situation or shrimp abundance would trigger another economic assessment prior to any decision to change the enterprise allocation programme. The implementation of the enterprise allocation programme was conducted within the available staff resources of the Department of Fisheries and Oceans. The consultations with representatives of the shrimp fishing and processing sectors are conducted through the Northern Shrimp Advisory Committee, as the forum for negotiations and resolution of issues including the enterprise allocation programme. This Committee is organized and chaired by officials in National headquarters in Ottawa. A major workload associated with the programme is the preparation of licence documents and processing of in-season transfers of quota between licences. Both of these functions are also carried out in Ottawa. The transfers are handled through one central point of contact, so that an accurate record of how much quota each licence has in each SA is maintained. Transfer requests are reviewed to ensure that adequate quota is available and confirmation of the transfer is sent to both parties. An average of 300 transfers is processed annually for the offshore shrimp fishery, occupying about 10% of one person's time. No additional funding was provided by the Department of Fisheries and Oceans for the implementation of this programme. The costs for the observers carried on the offshore shrimp vessels at all times are paid by industry. Random dockside monitoring of landings from offshore shrimp vessels in Canada is performed to compare catch reports with actual landings and is also at industry's expense. Completion and submission to the Department of accurate fishing and production logbooks and purchase slips is required of the licence holders. All offshore shrimp vessels must report their position and catch on a daily basis to their company and this report is forwarded to the Department daily. Fishery patrol vessels are deployed to northern areas as required for operational activities and are multi-tasked. Air surveillance patrols are conducted in northern areas as part of a co-operative arrangement with the federal Department of National Defence. Observer coverage and air surveillance are key activities in the monitoring of the northern offshore shrimp fishery. These activities are carried out within existing enforcement budgets. The objectives of the allocation process have been, and continue to be, successfully achieved through orderly long-term development of the fishery. These ensure that the economic viability of the existing licence holders is not jeopardized, and ensuring benefits for the harvesting and processing sectors, all with particular emphasis on the needs of the people and communities most adjacent to the shrimp resource. The catch of northern shrimp increased dramatically between 1977 and 2000, rising from 2600t to over 100 000t. Prices for product averaged $Can 4380/t over the 1994-1996 period and the long-term average has been around $Can 4000/t. The total value of the catch by the offshore fleet in 2000 is estimated at $Can 180 million, up from $Can 78 million in 1989. Enterprise allocations have given this fleet long-term stability, enabling exploration and orderly, cautious expansion of fishing areas and catches. The northern shrimp fishery currently makes an important contribution to northern development through employment and training of northern residents, including a substantial number of Inuit residing in Labrador, Northern Quebec and Baffin Island. The total income earned by northern residents was estimated to be $Can 4 million in 1995 and these incomes make a substantial contribution to 30 - 40 northern communities. In addition, the fees paid by operating companies that fish the allocations held by northern companies have become an important source of funds for northern development. The licence holders are generally of the view that the introduction of the enterprise allocation programme into the offshore northern shrimp fleet "has been a major factor in the development of an economically stable offshore fleet" (Angel 1999). Although some of the offshore fleet were at first reluctant to pay for full observer coverage, they did accept it as a condition of moving to the enterprise allocation system. The number of offshore licences has been frozen at 17 since 1991, which, in conjunction with assured access to the resource through enterprise allocations, has provided an incentive for the industry to balance vessel capacity with resource availability. The offshore participants believe that there is a direct correlation between the degree of security of access to the resource and their ability to enhance and support development of the fishery and responsible fishing practices. Also, fishing activities could be conducted at the best times for marketing purposes. Examples of initiatives undertaken by licensees at their expense are: exploratory fishing leading to expansion of the fishing grounds, gear trials to minimize groundfish by-catch and fish more selectively, and industry co-funding of scientific and technical programmes. In addition, licence holders have found that operating under an enterprise allocation system has allowed them to invest in quality improvement and end-product development, rather than catch maximization. The level of satisfaction with the allocation process, within the temporary fleet, although variable is generally good. Industry feels that communities adjacent to the resource should be the beneficiaries of quota increases and this is part of the allocation process. However, satisfaction also depends on a group's perceived right to the fishery. Temporary fishermen have the same rights as the permanent fleet during times of high abundance but would be removed from the fishery during a period of decreasing quota. Some groups feel that it is their right to have permanent access as well. The level of access causes dissatisfaction with the process as well. Some groups perceive that they have a right to a larger share of the quota than they are allocated. Other groups have not expressed any strong views on the implementation or continuation of the enterprise allocation programme for the northern shrimp fishery. In 1996 and 1997, when the northern shrimp resource was increasing in abundance and value well above historical levels, and sharing with other participants was being considered by the Department of Fisheries and Oceans, many individuals and groups in Atlantic Canada and Quebec argued that offshore shrimp fleet had enough shrimp to be viable and sharing should occur. Sharing has been done since 1997 with mainly inshore harvesters on a temporary basis. The offshore fleet continues to receive enterprise allocations totalling 37 600t plus a share of any quota increases. Various interested sectors interpret the adjacency principle in ways that most optimizes their own positions. Many ports have used the increase in the shrimp biomass in adjacent waters to support their contention that they should receive access to replace reduced landings and employment due to the downturn in the groundfish fishery. The processing sector further suggests that ports where processing historically took place should be given precedence. Many processors and communities also suggest that the allocation process move away from the traditional distribution to CORE1 and move towards community allocations. The application of the adjacency principle is further compounded by the rationale from groups representing First Nations to have additional access based upon both adjacency and aboriginal heritage criteria. This has lead to further discussions on what percentage of access should be provided for the First Nations people. Although many groups consider that adjacency means exclusive access for themselves the government does not support this position. As such, a temporary licence, based in Prince Edward Island, was introduced in 2000 in response to that province's continued efforts to have previous historical access taken into account. This was met with considerable resistance by representatives of adjacent groups. The allocation of additional quota to the Northern Coalition in 1987, noted above, resulted from representations made by this subgroup of the licence holders to the effect that they should receive priority consideration because of their emphasis on the needs of Aboriginal and northern communities. The allocation to the Northern Coalition is temporary, and does not affect the equal shares principle established for the long term by the northern shrimp enterprise allocation programme. In general, although there is support for the allocation process the various interest groups are unable to work together in a way that will ensure the optimum distribution of the available resource. Therefore, the government must make final decisions that are never fully supported by most sectors of the fishery. The present allocation method utilizes general criteria that ensure reasonable distribution of the quota. It has allowed new participants while at the same time giving some control to community/groups through their involvement in how allocations are to be harvested and profits distributed. However, the sharing of the allocation was not clearly defined. With the unprecedented increases in shrimp biomass over the last few years there has been an increase in the number of parties interested in access. In many cases, groups with similar backgrounds and circumstances are vying for what they perceive as their rightful share without regard for other proponents. This is difficult enough when the size of the stock is increasing but will be even more of a problem when the inevitable decrease in stock sizes requires reduction of quota or even removal of licences from the fishery. The establishment of clear eligibility criteria and sharing formula would have enabled the allocation process to be implemented in a more acceptable fashion. In addition, the inclusion of industry in meetings to develop this criteria and sharing formula would have been a progressive step forward towards a higher degree of industry acceptance in the process. The northern shrimp enterprise allocation programme is considered a success, illustrated by the fact that the programme has remained basically unchanged since its introduction in 1987. The offshore licence holders have generally abided by its rules with few problems. In the early years of the programme, there was a period of licence consolidation as some licences changed hands, resulting in the current structure of twelve corporate entities holding the seventeen licences. Without the race for the fish and uncertainty with respect to allocations year to year, the offshore northern shrimp fleet takes a reasonable and mature approach to management of the fishery. There are few enforcement problems in this fishery. Significant progress has been made by the industry on further developing harvesting, processing and marketing of the shrimp. 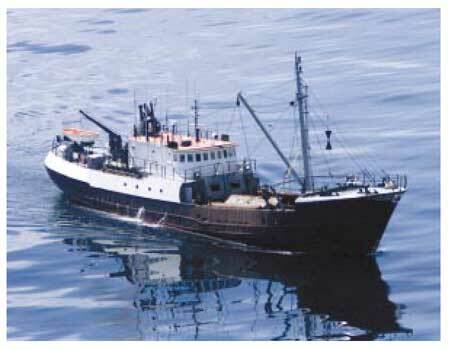 In 1997, this fleet received an environmental award for its progress in groundfish bycatch control. Although payment for full observer coverage was not at first easily accepted by the industry, this part of the programme has also progressed smoothly, and has brought added benefits to both the government and the licence holders. The observers provide data that cannot be obtained any other way and that enhance the scientific information available and the assessment of the stocks. Observers can also report on any questionable activities or possible infractions of the rules, thus providing the department with an "extra eye" on the fishing activities. Finally, the licence holders themselves have found that having 100% observer coverage helps dispel criticism of their fishing activities. For example, there have been media reports from time to time about high levels of bycatch in shrimp fisheries around the world. The Canadian offshore northern shrimp harvesters can respond that, with better gear in recent years, their fishery has a minimal bycatch level, and observers are there to see and report that fact. Fisheries where there is little annual change in biomass have been viewed by industry as requiring little change in the management of allocations. However, in fisheries where there is considerable increases in the biomass, such as the Northern Shrimp fishery, industry has pushed the government into allowing additional access without concern for the existing stake holders or other interested parties. Industry generally feels that all fishermen and communities deserve access to any expanding fishery to offset the economic effect of the downturn in the groundfish fishery. This is also occurring at a time where the Department of Fisheries and Oceans is moving towards a co-management approach to fisheries management. Management has to ensure the process is transparent by including industry representation. Industry historically has not worked well together and can be more interested in their personal agendas than looking at the overall benefits of the fishery to communities or effect on the stock. There should be movement to working with industry to reach an agreement establishing clear criteria and sharing formulas. The number of interested parties is large and in general unorganized. Involvement on a committee must be limited and groups left out would feel they were not accurately represented. However, even if the various industry sectors can come to an agreement on a set of criteria equitably allocating the available shrimp it is difficult to say this would end discussions. Even when general criteria are established groups could reinterpret these criteria for their own ends. The involvement of industry is the next step towards refining the allocation process. Their first task to define the intent of the allocation process and the resulting access. Secondly, to develop a set of criteria that identifies eligibility, allowing entrance to those whom the allocation process is meant to assist. A fair sharing arrangement needs to be produced that fairly allocates the available resource to a varied number of requests. Finally an industry-run Appeals Board needs to be established to ensure that the process is properly applied. Although the Minister of Fisheries and Oceans maintains final control over the fishery, clear goals and more industry involvement would ensure a more orderly management of the fishery. The snow crab fishery had its inception in the Gulf of St. Lawrence in 1965 when the Government of Canada and the Province of Nova Scotia initiated exploratory surveys to determine the potential for a snow crab fishery. Fishery management strategies identified harvesting approaches to meet the needs of the industry while also attempting to conserve snow crab stocks. The fishery was influenced by the collapse of the Alaskan crab fisheries and the resulting demand for crabmeat from the Eastern Canadian fishery. The value of landings increased tenfold as the fishery developed and, subsequently, the stocks declined, which appeared to be the result of harvest levels greater than the stock could sustain on a continuing basis. The snow crab fishery in Eastern Nova Scotia developed from a small scale, inshore fishery conducted by lobster fishers off the northwestern part of Cape Breton in 1966 using small seven to thirteen metre boats and making day trips. By 1976, interest in snow crab had spread to other areas around Cape Breton and by 1978 a total of seven fishing areas had been identified and designated as exclusively for the use of inshore vessels. By 1980, there were a total of 72 licences fishing in these newer areas and in 1982, when Sector Management was introduced, there were 109 licences under the jurisdiction of the Department of Fisheries and Oceans in the Scotia Fundy Fisheries. The snow crab fishing areas located off the coast of Eastern Nova Scotia varies from between 8km and 30km offshore in the northern areas. However in the southern areas of CA 23 and 24 snow crab habitat extends from 25km to 175km. Additional offshore areas that have not been fully surveyed may extend out to the Scotian Shelf edge (Figure 3). Individual boat quotas (IBQs) for snow crab were first applied in the Northwestern part of the Cape Breton snow crab fishery in 1979. There have been expansion and declines in both the landings and market prices, but issues have been addressed through new programmes aimed at enhancing research, more rational harvesting and processing practices. Stock recovery and stabilization has occurred through the late 1990's with co-operation of all participants and interest groups. Sustaining the fishery has implied lowering expectations from utilization of the resource, accurate reporting of landings, and increased penalties for violators. Greater emphasis has also been placed on fostering economic diversification. From 1982 to 1993, the management of the snow crab fishery in the CFAs 20 to 24 (Eastern Cape Breton) was strictly based on effort controls involving seasons, licences and trap limits. In 1994-95, individual boat quotas, based on total allowable catch, were introduced in all areas except for CFA 22 where they were introduced in 1998. The number of permanent licences remained stable, but temporary permits were issued in CFAs 23 and 24 for an exploratory fishery in non-traditional areas, which did not generate additional income for the fishery because that quota was obtained by limiting the regular licence holders to catches below their historic highs. The temporary permits were seen as a desirable feature of the fishery because they did result in a redistribution of the wealth generated by the fishery. By the 2000 season, the Regional Assessment Programme (RAP) recommended to the Advisory Committee that the TAC should be increased substantially over the previous season. With the tripling of the quota and by utilization of the sharing formula in the Management Plan quotas for both the permanent and temporary fleets dramatically. 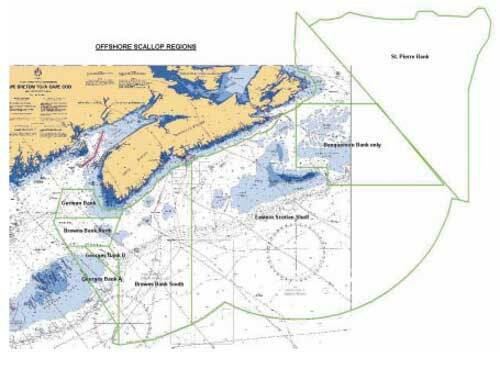 In 1998-99 temporary access was limited to the areas not traditionally fished by the permanent fleet, which were defined as where the initial scientific trawl survey was conducted in 1997. Temporary access was permitted in 2000 to the outer portion of this area when biomass estimates for the area were higher than the permanent fleet quota. Certified observers conducted at-sea monitoring and a voluntary reduction in the trap limits from 30 to 25 traps were implemented in CFA 21 based on the rational that it would afford more space on the fishing grounds as fishers moved from the small wooden traps to the larger steel and mesh traps. Scientific research surveys indicated that exploratory fishing effort should be directed in the non-traditional fishing areas of CFAs 23 and 24 to help verify results. Temporary allocations of 250t were given for the offshore areas not traditionally fished by the existing fleet. These temporary allocations were distributed to eligible, adjacent core fishers and Native Communities in units of 25 tonnes each which accounted for ten participants in CFA 23 and ten participants in CFA 24.
fisher participation in tagging and temperature studies. Until recent years, participants in the snow crab fishery were largely Cape Breton/Eastern Shore fishers who also held lobster licences and concentrated on the snow crab fishery following the lobster fishing season for about two months in mid-summer of each year. Consultations between the federal Department of Fisheries and Oceans and industry representatives indicated pressure on the government to consider various changes in regard to quotas and long term stability for the fishery. There were also pressures to expand the fishing areas into offshore non-traditional areas and new quota allocations. It was determined that on the basis of recent stock status reports that a five-year plan would be introduced for CFA 23 and CFA 24 and a one-year plan implemented for the other CFAs until further scientific information was available to apply multi-year plans. The snow crab fishery in Eastern Canada is the most important commercial crab species and ranks sixth in the value order of commercial species and was worth nearly $Can20 million for landed value in 1979 and 1980. The fishery in Eastern Nova Scotia, CFAs 20 to 24, was a somewhat smaller activity than in other areas of the Gulf of St. Lawrence and in the coastal areas of Conception Bay and Bonavista Bay in Newfoundland. In Cape Breton, the fishery lasts about two months and the fishing trips are conducted on a one to two day basis. Generally, there are various management controls applying to the snow crab fisheries. They deal with the number of licences issued each year, the allowed number of traps per boat, the mesh size in traps, the individual boat quotas, the fishing areas and the respective total allowable catch set for each area and the minimum legal size of crabs. Although most of these measures have been implemented throughout the CFAs, a key change in managing the fishery was the implementation of individual boat quotas. This process brought the licence holders into the management aspects of the fishery by accepting increased responsibility for quota sharing and co-management. The long-term objectives for this fishery are as follows (DFO 1997c). To ensure the continuation of a biologically sustainable and economically viable fishery for a limited number of participants, thereby providing benefits in terms of creation of employment, income and protection of the snow crab resource and habitat. To promote the co-management of the fishery by the Department of Fisheries and Oceans jointly with the snow crab fleet. To promote the inclusion of the Aboriginal Community in this fishery in a manner consistent with the above objectives. To permit, after consultation with the industry, the broader distribution of income from this fishery to other members of the commercial fisheries when resource and market conditions are favourable and in a manner that will not threaten the viability of the fishery for the current licence holders. the formulation of fisher's Snow Crab Associations in each CFA. As previously mentioned in Section 3.1, the present day fishery developed from a small scale, inshore fishery conducted by lobster fishers off the northwestern part of Cape Breton using small boats and making day trips. By 1976, interest in fishing snow crab had spread to other areas around Cape Breton. The fishery in CFAs 20 to 24 began in 1978 but the fishery collapsed in the mid-1980s. In 1982, quotas were not being reached and it was determined that given the trap controls already on the fishery and the lack of scientific information to predict stock biomass, quotas at that time were ineffective and, consequently, in 1984 they were removed. No licences were removed from the fishery and fishers were permitted to harvest what they could within the limitations of the regulatory measures in place at that time. Annual effort and landings declined through to 1985. CFA 24 - six licences of 10 000lb each. The regular licence holders agreed to limit themselves to a certain level below their five-year average catches for one year to make the temporary quota available. In 1996, fishers from CFAs 22, 23 and 24 set aside funds to pay for a scientific trawl survey in the spring of the following year. Until 1997, participants having regular, limited-entry licences were Cape Breton/Eastern Shore fishers who also held lobster licences with exception of one Native fisher in CFA 24. The Department of Fisheries and Oceans proceeded to issue two temporary licences to Native Communities in CFA 23 and two permanent licences in CFA 24 during 1997. During 1997 and 1998, the Department of Fisheries and Oceans consulted with industry representatives and snow crab licence holders in an attempt to direct the fishery toward longer term stability. Through numerous meetings it was concluded that there be no further increases in effort by new entrants until further scientific information was available. Through the consultative process advice is sought on management of the snow crab fishery in the CFAs. Once the scientific advice for the coming year is approved during the Regional Scientific Advisory Process of the Department of Fisheries and Oceans as meeting scientific standards, separate meetings are convened by the Department Area Manager with the representatives of each CFA as well as a general session with the members of the Eastern Nova Scotia Snow Crab Advisory Committee. The scientific review of the fishery and advice is formally presented to the snow crab fishers and discussed by all official participants at the meetings. In areas with multi-year management plans, at present CFA 23 and CFA 24, management boards are being established to discuss in-season fishery related issues and to ensure adherence to the approved plan. After the establishment of a significantly increased TAC in 2000 temporary access was expanded. Up to this time temporary access was limited to associations representing CORE adjacent fishermen, Native Bands and groundfish dependent fishermen. This was extended in 2000 to non-adjacent CORE fishermen in Eastern Nova Scotia. Allocations were given to associations who determined who would catch the quota and how the profits were to be distributed. This was a major advancement to the co-management approach to management being developed in this fishery. Source: Canada Department of Fisheries and Oceans. Prior to 1997, the allocation of quotas was largely dependent on the past performance of the fleet in catch histories and numbers of participants in the fishery. With the increase in information available from scientific trawl surveys the allocations were increased in 1998-99. With the establishment of a fisheries independent TAC in 2000 total allocations are based on total biomass estimates and exploitation rates recommended by the Advisory Committees. A further consideration is the economic viability of the fishery to those most dependent on the fishery for their livelihood. Recent landings, landed value and unit price for the eastern mainland and Cape Breton commercial snow crab fishery of Nova Scotia are shown in Table 2. Preliminary landings for the 2000 season are approximately 1000t in the northern CFAs of 20-22 and 9000t in CFA 23 and 24. Source: Commercial Data Division, Canada Department of Fisheries and Oceans, Halifax, N. S.
There have been requests for the Department of Fisheries and Oceans to approve various sharing arrangements by issuing new licences in all areas. The additional harvesting effort that would be exerted on the stock if the Department responded positively to the proposals necessitated that no additional effort be permitted in most of the traditional areas that are presently being fished. It was believed that in CFAs 20, 23 and 24 there were areas where commercial quantities of crab are presently being under-fished. The fishers in CFAs 20, 23 and 24 recognize that their fisheries could be able to tolerate additional effort on a temporary basis once firmer scientific evidence was presented. This additional effort would not harm the resource on their crab fishing grounds but they insist on stability in their catch levels and how their fishery is managed. Fleet long-term viability is of prime importance. Formula is designed to make precautionary increases with ability to reduce effort as quota decreases. Therefore, there will be an annual review, only temporary status for new entrants and last in, first out criteria will be followed. The number of temporary entrants may differ from year to year depending on the available biomass. Purpose is to assist adjacent economically depressed communities. Therefore, temporary effort to be introduced as early as possible. To ensure effort is fully distributed throughout the CFA, sub-areas have been defined for which resource scientists will give biomass estimates and vessel quotas will be limited to the sub-areas. Quota distribution considered assuming five sub-areas (a) nearshore grounds, (b) offshore traditional grounds, (c) nearshore non-traditional grounds, (d) offshore non-traditional grounds and (e) Halifax County non-traditional grounds. Historical fishing patterns are not to be used to restrict the permanent fleet, which is allowed to fish anywhere within the CFA. Fleet long-term viability is of prime importance including years where there is a decreased price. Therefore both a landing and monetary threshold have been used in the sharing formula. Landed value would be calculated on the average price within a crab fishing area for the previous year. From year to year, various information is collected on the biology of the crabs and on the fisheries throughout the fishing season. Biologists sample crabs in port and on board vessels for size, maturity, shell hardness and weight. Information is also collected on the distribution and intensity of the fishing effort from logbooks that fishers keep on their fishing activities. The Department of Fisheries and Oceans also maintained catch histories through purchase slips on sales that are collected throughout the fishing season and compiled and retained by the Department. From 1982 to 1993, the management of the snow crab fishery was based on effort controls including seasons, licences and trap limits. Changes were introduced in the fishery from 1994 to 1997 which included the introduction of mandatory logbooks, dockside monitoring and at-sea certified observer coverage to detail landings and fishing effort. In 2000, with the introduction of temporary access in those areas farthest from shore and not covered by the trawl survey, more accurate information on the effort distribution of this portion of the fleet was required. A vessel monitoring system (VMS) was introduced to supplement the logbooks being completed by the licence holders. There was no appeals process in place for the individual boat quotas implemented because the allocations were developed through extensive consultations with the snow crab fishers. The allocations depend upon the allowable catches for the CFAs based on the scientific advice provided on a year to year basis. There is an industry run appeals board that ensures that fishermen applying for temporary access are evaluated properly by the associations and DFO against the eligibility criteria. No additional Departmental staff were deployed to implement the IBQ process which involves the Department of Fisheries and Oceans Branches on an intermittent basis and includes Resource Management, Economics, Aboriginal Affairs, Oceans, Policy and Licensing and Regulations. The Science and Conservation & Protection Branches allocate considerable manpower during the short nine-week season. Science personnel include indeterminate and seasonal staff for supervision, analyses, data entry and sampling. Conservation & Protection task their resources based on established enforcement priorities and ongoing fishing activities in the area. CFA 24 - Certified Observers, 10 % of sea days (cost estimated per fisher $Can472). CFA 24 - non-traditional area $Can20 000 ($Can2000/permit). In response to requests by the fishers, tagging studies were initiated in 1994/95 in CFAs 20, 21 and 22 with participation by the licence holders. In summary, the industry pays the cost for licence fees, at-sea observer coverage, dockside monitoring and supports the Science survey within their area. These costs vary depending on area and the quantity of crab available. The industry also pays their own travel costs to consultative and advisory meetings. As well as hailing at-sea to a monitoring company, fisheries are required to submit accurately completed logbooks. The funding requirements for the Department of Fisheries and Oceans personnel are within the current budget levels for the respective Branches involved. Through 2000, stock status appeared better than in previous years. Catch rates were above average and increasing in all CFAs. Trawl surveys have indicated that the resource is well distributed. However, it is believed that a large portion of this fishery is on a built-up biomass from years when the exploitation rate was not maximized. It is expected that in the near future the TAC will decrease since recruitment does not appear to be sufficient to offset the fishery. The present allocation process allows for the maximization of the benefits while the biomass remains high and will ensure fair distribution during the period of lowered quota. Promotion of co-management in the snow crab fishery is well underway with approaches for project implementation. Since 1995, new elements have been added to the management of this fishery with the co-operation of the fleet and, in some cases, funded by the fishers themselves. In 1997, a commercial licence in CFA 23 was acquired by the Department of Fisheries and Oceans under the Allocation Transfer Programme and transferred to a consortium of three First Nations Bands. This licence was operated as a communal commercial licence under the auspices of the Aboriginal Fisheries Strategy. Also, the Department issued two temporary licences to Native Communities in CFA 23 and two permanent licences in CFA 24. The landings, value and unit price of snow crab for CFAs 20 to 24 are shown in Item 3.2 and indicate a general increase in value since 1990. There has been a great deal of exploration in areas of CFA 20, 23 and CFA 24 that were not being fished by the licensed fleet and scientific surveys were only being introduced. Community proposals have been submitted and supported requesting new quota in most commercial areas especially in CFAs 23 and 24. In addition, there is a small exploratory fishery in NAFO Division of 4X where four vessels are conducting an exploratory fishery. The rights holders (licence holders) have been, and continue to be participants in the consultative and advisory process with the federal Department of Fisheries and Oceans. These consultative processes involve DFO Science/Fisher consultations, DFO Fisheries Management/Industry consultations and DFO/Non-Licence Holders consultations. The industry has been, and continues to be, an important part of the assessment and management process and signifies a major influence on the measures implemented for this fishery. With the introduction of the temporary access this consultative process has been extended to representatives of the temporary fleet as well. Although there are conflicting opinions between the two fleets there is a high overall satisfaction with the process. The main objective of the commercial fishery is to maximize net revenues for all entrants while ensuring sustainability of the stock and equitable sharing between the existing and temporary fleets. Community proposals submitted requesting new quota in most commercial areas and quota to explore in offshore areas especially in CFAs 20, 23 and 24 have been supported. Some crab fishers in CFA 22 sought to relieve overcrowding on the Glace Bay grounds by giving access to a portion of CFA 23, but with the introduction of temporary access by adjacent fishermen this was not permitted. With the expansion of temporary access to non-adjacent CORE fishermen in Eastern Nova Scotia all CORE fishermen in eastern Nova Scotia have some access to the fishery. Although some groups feel their level of access should be larger they are supportive of the allocation process. The processing capacity for snow crab in Eastern Nova Scotia was historically limited. Due to the larger crab populations in the Gulf of St. Lawrence there is a larger capability for processing in the Provinces of New Brunswick and Prince Edward Island. Therefore, much of the snow crab landed in Eastern Nova Scotia is transported outside the local community areas for processing. However, with the expansion of existing plants and the establishment of several new plants since the 2000 season more processing is done locally. Although initially intended to be supplementary, this has developed into a primary fishery without discussions on changes to the management process. It is only during the last few years that with the development of a multi-year Management Plan in CFA 23 and 24 that management changes were discussed and this was in response to an increased demand for access. Considerable discussions were held with both stake holders and interested parties during the development of the present Plan. A sharing formula is in place that identifies the allocation between the existing stakeholders and groups representing temporary access. This has reduced the resistance to the overall allocation process and allowed for a smoother implementation. Allocation to area based groups has ensured the economic benefits would stay within local communities. This process has allowed the allocation process to support all stakeholders (both permanent and temporary) during the present period of surplus biomass. It also identifies the process to be followed during the expected future decrease in biomass. A lack of clear definition of the intent of the temporary access was not put into the Plan. Although this has not inhibited associations from maximizing access it has allowed individuals not eligible for the present allocation process to use their own interpretation in an effort to gain access. Additional clarification of the intent of the temporary access will address this limited opposition. The scientific and management planning continues to be a co-management process to ensure sustainability of the fishery. With the introduction of the sharing formula, allocations are now clearly defined. Although there is a desire to see at least some of these converted to limited entry licences this will only be discussed when the long-term viability of the stock can be assessed. Scientific advice recommends that there is no basis to indicate a change is needed in the current level of catch and effort, but there have been requests for the Department of Fisheries and Oceans to approve various sharing arrangements by issuing new licences in all areas. In 2000, the results from a scientific trawl survey were used in determining a TAC. Catch and effort can now be evaluated based on fishery independent data. At-sea sampling in recent years has shown that there can be high percentages of soft-shelled or " white " crab encountered in all Eastern Nova Scotia CFAs. Fishing white crab is both a conservation and marketing issue and at-sea observer trips are used to determine the percentage of white crab in the catch. If the percentage stays above 20% partial or complete closure of the fishery would be discussed. Industry-funded at-sea observers have been introduced to supplement and increase the collection of biological data. In the northern areas 5% coverage is being obtained and in CFA 23 -24 the target of 10% coverage is in place. An industry-supported overrun programme is in place that reduces quota in the following year for fishermen who exceed their individual quota. Representation has been made to the Department of Fisheries and Oceans by the First Nations to increase the First Nations quotas as additional resource is made available. Exploratory fishing is being conducted in areas of CFA 20, 23 and 24 where trawl survey information is limited. This will supplement the available knowledge on the TAC without increasing effort in any of the traditional fishing areas in CFAs 20 - 24. Additional survey sites and changes to the methodology used in making biomass estimates will reduce the source of uncertainty around the concentrations of crab were found in the gullies between banks. Tagging studies initiated in 1994/95 in CFAs 20 - 22 with the licence holders' participation to monitor crab movements and the fate of soft-shelled crab released back to the crab grounds and the movement of fishable crab between and within the CFAs will be continued. With the increases in TAC, industry has requested and received an increased trap limit in CFAs 23 and 24 of up to 50%. All of the above issues will continue to be addressed through consultations with representatives of the CFAs and the Eastern Nova Scotia Snow Crab Advisory Committee in the planning processes for future Integrated Fishery Management Plans for the snow crab fishery (DFO 1999b). Excessive catching capacity in the offshore scallop (Placopecten magellanicus) fleet was first recognized in the early 1970s and by 1984 the Canadian scallop landings from Georges Bank were the lowest on record, less than 2000t of meats, for the offshore fleet. In the same year the International Court Of Justice (ICJ) in their Gulf of Maine boundary decision between Canada and the United States awarded to Canada the most productive scallop area of Georges Bank. In the latter part of 1985, the ten companies holding offshore scallop licences had identified an Enterprise Allocation (EA) concept as being the most desired option for achieving the objectives of stock rebuilding and conservation, stabilization of landings, fleet replacement and rationalization. Despite the companies' position, the captains and crews were rejecting the enterprise allocation concept on the basis of threatened reduction of employment in the fishery. The captains and crews position was to implement more effort control mechanisms such as closed winter seasons, a maximum of sixteen day trip limits, and reduction of quotas from 13 636kg to 6364kg per trip to achieve the same objective. The Department of Fisheries and Oceans supported the enterprise allocation concept on the basis that fleet rationalization would occur more efficiently and effectively rather than if the fishery continued with a competitively fished quota or a total allowable catch with quarterly allocations. The Department also supported the introduction of an experimental Enterprise Allocation programme developed in concert with the vessel owners and crews together with an acceptable and cost-efficient enforcement programme that had credible administrative rules. The ICJ boundary decision in 1984 settled the Georges Bank ownership issue and cleared the way for serious consultations among industry members to develop and implement a management strategy to rebuild and maintain the offshore scallop stocks as well as address the orderly replacement and economic stability of the ageing scallop vessel fleet. Consultations were conducted during the latter part of 1984 and early 1985 between the representatives of the licence holders, the captains and crews and the Department of Fisheries and Oceans. These consultations were arranged through the previously established Offshore Scallop Advisory Committee (OSAC). The discussions resulted in development of improved conservation measures such as larger minimum scallop shell height and a more restrictive total allowable catch in the sensitive stock areas. The industry unanimously supported the more restrictive total allowable catch given the high level of fishing mortality inflicted by the fleet at the time. It was generally accepted by the industry that a fully replaced fleet of 76 vessels would not be economically viable in the future. A report by the Department of Fisheries and Oceans in 1985 (Nelson 1985) determined that the optimal fleet size should be in the range of 39 - 44 vessels. In June 1986 the vessel owners and crews agreed to a three-year experimental programme of individual transferable quotas but had one remaining serious issue to be resolved, which was the fishing activity of the inshore scallop fleet on Georges Bank. The inshore fleet had access to 2.9% of each previous year's scallop catch, which caused concern for the success of the experimental ITQ programme. However, this issue was resolved through separation of the inshore and offshore fleets at the 43°40'N parallel, which meant the offshore fleet could not fish for scallops north of this line and the inshore fleet would be phased out of the Georges Bank fishery over a two-year period. The inshore fleet was allocated 8% of the offshore TAC in 1987, 4% in 1988 and no further access thereafter (Stevens 1997). In 1989, based on the success of the experimental programme in meeting objectives and the nearly unanimous support of the scallop industry, the federal Minister of Fisheries and Oceans approved the permanency of the ITQ programme for the offshore scallop fishery. Figure 4 shows the Maritime Scallop management areas. The offshore scallop fishery was competitive in pursuit of the catch from the mid-1940s when it first commenced on Georges Bank until the introduction of the ITQ programme in 1986. The licence holders (enterprises) developed percentage shares of the TAC for each company and established administrative guidelines for the management of the programme. The guidelines are summarized as follows. Permanent transfers of a portion of a company's allocation to another company were not permitted. In the event of a sale of a company, the new owner must obtain the entire quota and licences held by that company. The Minister of Fisheries and Oceans must approve all permanent transfers. Inter-enterprise transfers are permitted during the fishing year as companies fine-tune their harvesting plans. These transfers are temporary only and must be previously approved by the Department of Fisheries and Oceans. Barring catastrophic events, a company will not be permitted to transfer in excess of 25 % of its quota for more than two consecutive years. v. In the event of the collapse of the ITQ programme, the fishery could revert to a competitive fishery in which case the companies or their replacements would be entitled to return to the number of licences held in 1986, prior to implementation of the experimental programme. provide increased economic benefits for crews, vessel owners, shore workers and the community. Percentage shares were negotiated between the existing offshore scallop licence holders using two basic criteria namely (a) historical fishing performance on Georges Bank and (b), the number of vessel licences held by each company. The sharing arrangement agreed to in 1986 provided the basis for sharing in other fishing areas and there are currently eight separate offshore scallop fishing areas where TACs are established annually. The allocation process was achieved through consultations between the offshore companies with DFO as the facilitator at the Offshore Scallop Advisory Committee, the official management consultative committee for offshore scallop resources. The landing records provided by the offshore companies matched the records held by the DFO and the percentage shares were based on these long-term records of landings together with the catch potential of currently owned vessels. Company officials were satisfied with the percentages agreed among them. Most of the work was done by the company representatives assisted by DFO managers. There was no indication of dissatisfaction at the OSAC meetings by the company representatives. A company may not hold more than 50 % of any specific scallop stock. Historical catch data were available for the years 1975 to 1983 and the provision of accurate catch data was a regulatory requirement. The comparison of this information with company records showed similar results and the catch information over this period was not in dispute. The key control measures in the offshore scallop fishery were the establishment of meat counts (e.g. the number of scallops occupying 500ml) and the setting and integrity of the total allowable catch. All scallops landed from offshore scallop vessels were monitored by dockside observers and recorded against the enterprise allocation of the appropriate company. All licence holders were required to provide catch and effort information in the form of a fishing logbook report with all information on fishing operations to the Department of Fisheries and Oceans at the end of each fishing trip. A close check on the meat count of shucked scallops was conducted to ensure adherence to the regulated number of meats, which varied for different fishing areas. At present, all landings are monitored by an independent dockside monitoring company funded by the industry. These catch data for each landing are entered into a computerized system and retained by the federal Department of Fisheries and Oceans. In addition, all offshore scallop vessels carry on-board electronic monitoring devices to enable monitoring of the position of vessels when fishing in designated areas and the related TACs. Licence holders developed their own formula for establishing the sharing arrangement of the available catch and reported to the Department of Fisheries and Oceans the percentage shares to be applied to the TAC's. Since this was an industry process and there was agreement by all of the licence holders, there was no need for a further appeals process. The implementation of the programme was accomplished within the available staff resources of the Department of Fisheries and Oceans. Consultations became less frequent upon implementation of the three-year experimental programme and the subsequent management plans. Most effort now expended for administration is in the area of data compilation and analysis, the annual setting of TACs, monitoring of quota transfers and development of integrated fishery management plans. No additional funding was allocated for this process as the licence holders developed their own administrative guidelines for the programme. Regulatory enforcement effort by the Department of Fisheries and Oceans has decreased despite the increased management obligations of the industry and provision of funding by the industry. Scallops landed from the offshore scallop vessels were required to be monitored by a certified dockside observer and all landings are now monitored with the catch from each landing being entered directly into the Department's database by a dockside monitoring company funded by the industry. The estimated annual cost to industry is approximately $Can40 000. A review of the three-year experimental ITQ programme was conducted through the Offshore Scallop Advisory Committee to determine the results of the programme and progress towards meeting the initial policy objectives. It was concluded that the experimental programme had contributed to increased economic benefits for the licence holders, crews and shore workers, and all those engaged in the fishery were experiencing a much improved situation than if they had continued in a competitive fishery (Brander and Burke 1995). The scientific advice also indicated that there was a wider range of scallop year classes appearing, which would continue to stablize the fishery over time. Fleet rationalization was also achieved by allowing licence holders to concentrate on their own allocations and apply the appropriate effort to catch their permitted percentage of the TACs (Nelson 1989). The ageing fleet of sixty-eight scallop vessels in 1986 has now been reduced to twenty-five mostly steel-hulled vessels ranging from 27m to 43m in length and crewed by seventeen members each throughout the year. Trips last about ten to twelve days and scallops are landed at five ports. These results imply that the objectives of improved economic benefits, stock conservation and fleet rationalization have been met. Since 1986, forty-three vessels have been removed from the offshore scallop fleet resulting in a decrease of approximately 700 crew positions. However, for those remaining the opportunities for employment has improved and this downsizing in the fleet is not considered severe. The local labour market had very little difficulty absorbing sixty to seventy displaced crewmembers a year since 1986. Some service industries, such as vessel maintenance, have been adversely affected but the work rather than the number of employees have been reduced. Local employment centres report that many crewmembers have continued their attachment to fishing or are employed in the construction industry or forestry operations. Under the programme, the offshore scallop stocks have been rebuilt, landings have been more stable and the fleet has been rationalized as expected. Landings for the period 1985 to1996 averaged 5800t of meats, which is close to the expected long-term average of 6000t. The fleet has been reduced in size, is more efficient, and now spends approximately 4400 fewer days fishing than was the case in 1986 before the programme was implemented. Revenue per vessel has been increasing on average as the fleet has been reduced: About $Can600 000 per vessel in 1985 to almost $Can 2 000 000 in 1994. This amount varies with the landed value of catch, licence fees, observer and dockside monitoring costs, and scientific research activities funded by the licence holders. The rights holders unanimously agree that the process has met, or exceeded, the objectives. Community impacts appear to be minimal as the offshore fleet has traditionally landed in five or six ports. In Yarmouth, Nova Scotia, the transfer of one offshore company to Lunenburg, Nova Scotia has reduced the overall landings but, given the major port activities in the fisheries in the Yarmouth area, the impact of this transfer was not considered to be major. Overall, there have been improvements in earnings as the result of gains in efficiency since the programme was introduced. The steady nature of fleet rationalization, coupled with employment opportunities in the primary sector, eased the transition to the ITQ programme and the rebuilding and stabilization of the scallop resource has meant greater economic stabilization for all participants in the industry including, shore workers and the local communities. The most controversial issue arising from implementation of the programme has been the reduction of jobs in the offshore scallop fishery. The downsizing was gradual and occurred over more than a decade. It was reported that an efficient offshore fleet matched to the available TACs could be in the range of 30 - 35 vessels, to 39 - 44 vessels (Nelson 1985). But the fleet was reduced to 25 vessels, which accounted for a loss of employment for crewmembers. In hindsight, the crewmember unions could have negotiated some mechanism for establishing a fund for severance or early retirement for their members. Another mechanism could have been an orderly rotation of crew aboard vessels on a schedule negotiated between the vessel owners and the crewmember's unions. The federal Department of Fisheries and Oceans encouraged the implementation of the property rights programme in the offshore scallop fishery and has continued to support it at the present time. The programme has met the objectives and has been termed successful to the point where licence holders are prepared to accept a shared management (partnership) with the Department for future management of the fishery. The licence holders are currently making significant financial and operational contributions for catch monitoring and scientific research activities. Angel, J.R. 1999. Canadian Association of Prawn Producers. Management of The Canadian Shrimp Fishery. Presentation to the Pandalid Shrimp Symposium, Halifax, Nova Scotia, Canada. September 8-10, 1999. Brander, L and D.L. Burke 1995. Rights-based vs. competitive fishing of sea scallops Placopecten magellanicus in Nova Scotia. Aquatic Living Resources Vol. 8(3): 279-288. Collins, J.F. 1987. An Assessment Of The Economics Of The Northern Shrimp Fishery. Program Coordination and Economics Branch, Newfoundland Region, Department of Fisheries and Oceans, St. John's, Canada. DFO 1997a. Department of Fisheries and Oceans, Canada. Integrated Fisheries Management Plan, Northern Shrimp, Northeast Newfoundland, Labrador Coast and Davis Strait, (1997 - 1999). Resource Management Branch, Atlantic Fisheries and Oceans. DFO 1997b. Department of Fisheries and Oceans, Canada. News Release, Mifflin Announces 57 Per Cent Increase For Northern Shrimp Quotas. 23 April 1997. Office of the Minister of Fisheries and Oceans, Ottawa. DFO 1997c. The 1997 Snow Crab Integrated Fishery Management Plan, Scotia -Fundy Fisheries, Maritimes Region. Department Of Fisheries And Oceans, Canada. DFO 1998a. The 1998 Snow Crab Integrated Fishery Management Plan, Scotia Fundy Fisheries, Maritimes Region. Department Of Fisheries And Oceans, Canada. DFO 1998b. Department of Fisheries and Oceans, Scotia-Fundy Offshore Scallop Integrated Fisheries Management Plan, Maritimes Region, 1998 - 1999. DFO 1999a. Eastern Nova Scotia Snow Crab. DFO Science Stock Status Report C3 - 02. Department Of Fisheries And Oceans, Canada. DFO 1999b. Eastern Nova Scotia Snow Crab Integrated Fishery Management Plan, Scotia-Fundy Sector, Maritimes Region, CFA 20 - 22, 1999, CFA 23 - 24, 1999 - 2003. Department Of Fisheries And Oceans, Canada. MacDonald, J.K. and J.F. Collins 1990. Department of Fisheries and Oceans, Canada. Canada's Northern Shrimp Industry: An Economic Assessment Of The Fishery. Economic and Commercial Analysis Report No. 79. Nelson, J. 1985. Report On Economic And Financial Aspects Of Offshore Scallop Fleet Replacement. Program Co-ordination and Economics Branch, Department of Fisheries and Oceans, Dartmouth, Canada. Unpublished MS.
Nelson, J. 1989. Economic Assessment of the Offshore Scallop Enterprise Allocation Program. Program Co-ordination and Economics Branch, Department of Fisheries and Oceans, Dartmouth, Canada. Unpublished MS.
Parsons, L.S. 1993. Management of Marine Fisheries in Canada. National Research Council of Canada. 763pp. Stevens, G.J. 1997. Offshore Scallop Enterprise Allocation Program Internal Review. September 30, 1997, Resource Management Branch, Department of Fisheries and Oceans, Dartmouth, Canada. Current northern shrimp licence holders will retain 37 600t that was allocated to them in 1996. Where TAC exceeds 37 600t, temporary access will be given to new entrants. These principles will be applied to each Shrimp Fishing Area (SFA). The management of the increase in TAC for new entrants will be done by Local Management Boards in each area. The Boards will be represented on the Northern Shrimp Advisory Committee which is responsible for making recommendations on TAC levels and management measures. 1 The views expressed in this paper are not necessarily those of the Department of Fisheries and Oceans, Canada. 2 Various terms have been used in describing the allocation of property rights in these fisheries such as: quota licences; enterprise allocations; individual transferable quotas (ITQs); and individual boat quotas (IBQs) . 3 Some Pandalus montagui are caught at higher latitudes. 4 A CORE participant holds a major fishing licence and has minimum annual earnings of $Can5 000-10 000 (depending on area) from all fishing sources, excluding processing. It only applies to people holding licences for vessels under 65 feet in legth. Many fishermen, especially in Newfoundland became excluded from the fisheries by failing to qualify. All benefits in new licenses, etc, go to CORE fishermen.